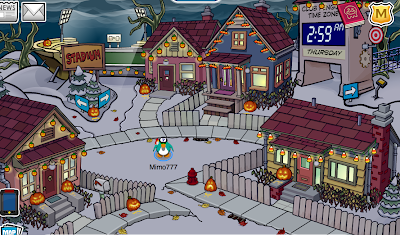 Club Penguin Cheats by Mimo777 Club Penguin Cheats by Mimo777: 2011 Club Penguin Halloween Party Cheats! Woot! 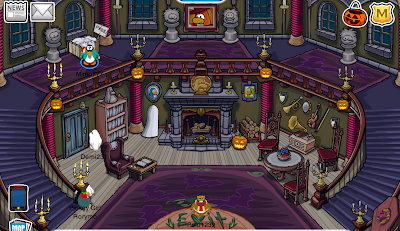 The Club Penguin Halloween Party is here and we have all the cheats! First thing, go to the Forest... and choose a path! Woot! 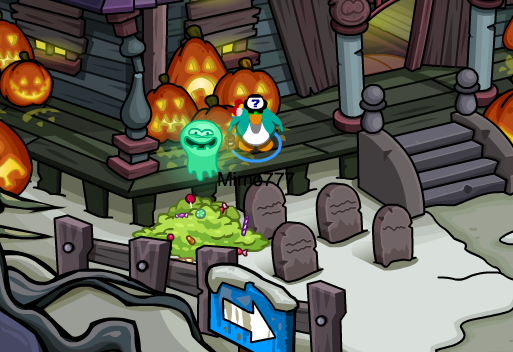 The Haunted House is open to ALL penguins this year! Step 2. Go into the Haunted House. 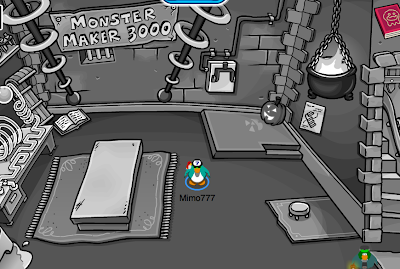 Members can also go to the Dark Chamber. This Chamber is a little tricky to get into unless you went there last year. 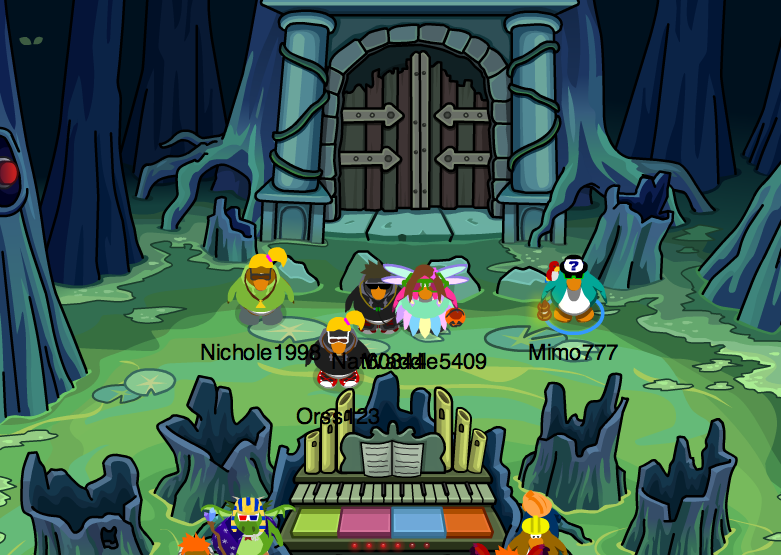 You will need to match the sequence of colored bubbles coming out of the rock in front of the door by pressing the colors on the piano keys. This is where you can meet Gary the Gadget Guy. 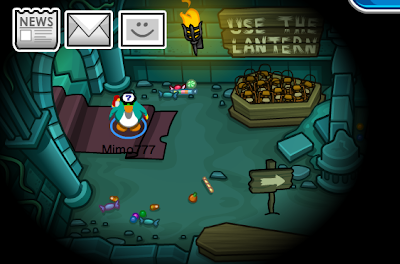 Once inside, you will need to pick up the FREE Lantern. You will need this to make your way through the Dark Chamber with the lantern. OR, you can use your Night Vision Goggles, too! Here, Members can get a FREE item... 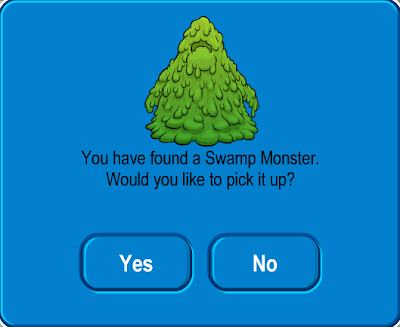 Swamp Monster! 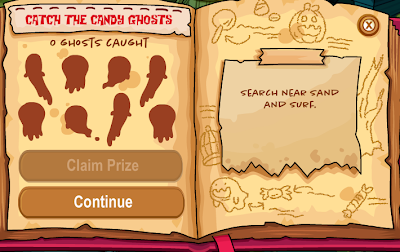 There are 2 hidden cheats in this little catalog. 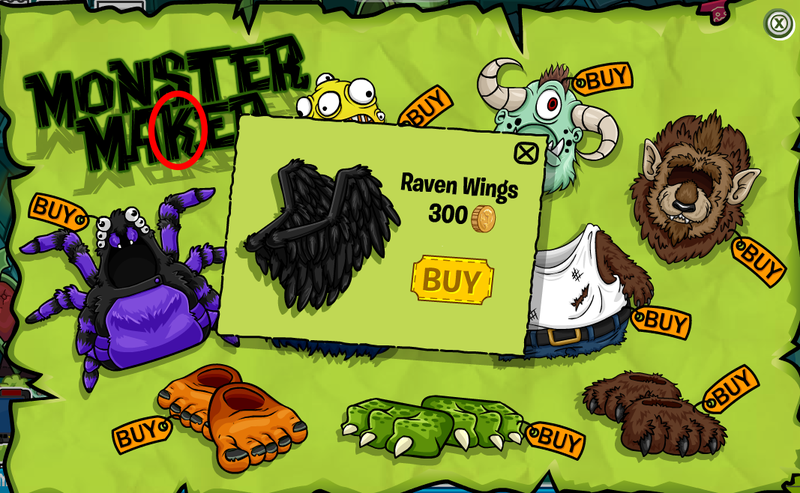 To find the first cheat, click the "M."
To find the next cheat, click the "K."
You now have the Raven Wings cheat! Did you see the Snow Forts? Very cool, I just wish you could ring the door bell and get some candy, don't you? A candy pin at each house would be awesome! And, what do you get for being such an awesome Candy Ghost Catcher? 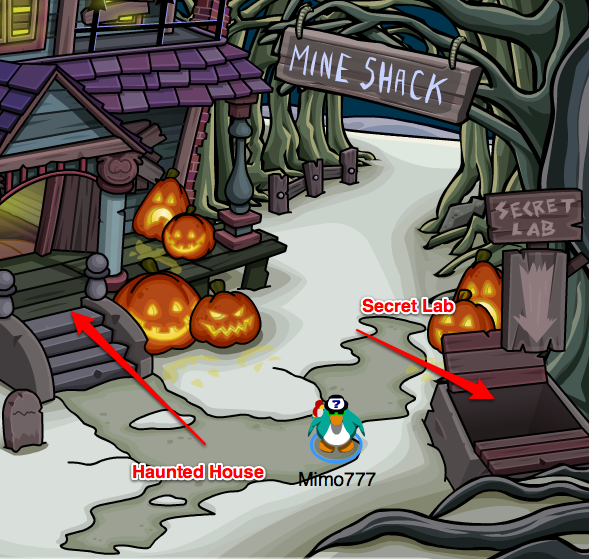 That's all the ghostly cool Club Penguin Halloween Party cheats! How do you like this spooktaskular party? Do you have a favorite part of the party? Mimo777 if you look at the starter page u will see Herbert's crab!! Maybe hes back for revenge! Normal Memebers Can't Get Into The Dark Chamber. Did u know in the Dark chamber where u need a lantern, you can use your torch! Well, I CAN'T call it the BEST party. It's really repeating itself... There's nothing better than the last year. 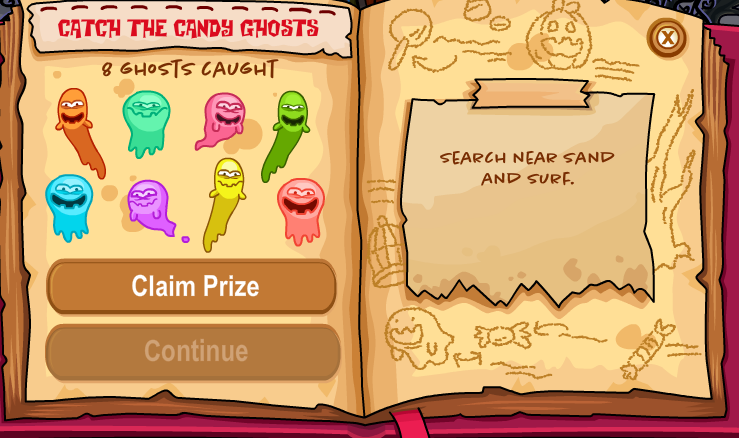 The ghost hunt is too easy. 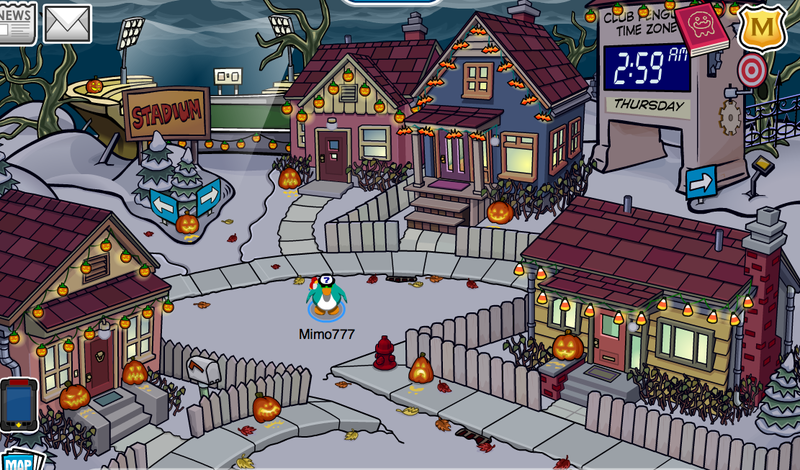 i visited all the member igloo homes.. isn't that trick-or-treating? Check it out! 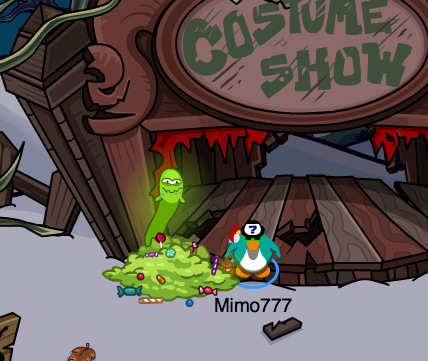 I noticed that if when you enter/exit the dark swap it says Joining Circus Entrance! LOL! 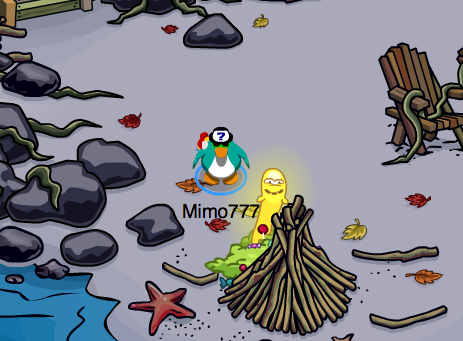 I dont know if you already mentioned this, but, now non-members can call on flare! I finally can! When I saw Klutzy on the home page, I wondered why he was on there! Now I know why! HE's gonna cause trouble soon! Today Rookie sent a message asking whether we've seen Klutzy cause they want to question him. I foresee a future of spy-ing! 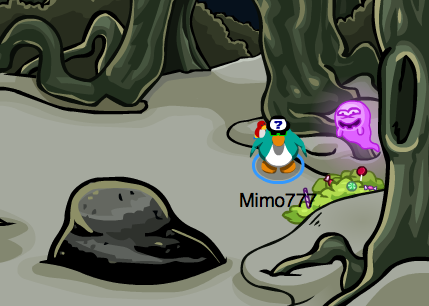 What do I do MIMO? you go and get something out, I'm back and I have no login item .What do? 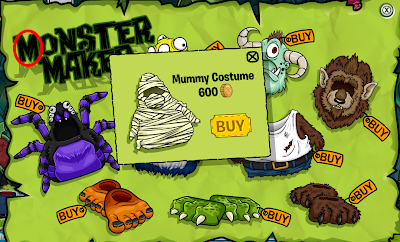 If you put on your new ghost costume, you'll get a stamp! 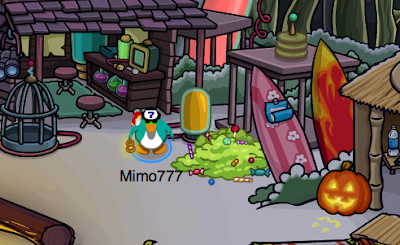 mimo, you can ring the doorbell!!! you just stand on their doorstep and if you have the volume on you can hear it ring!!! but that would be reaally cool if there were candy pins! Hey - If you guys happen to see Klutzy, let me know. We're not trying to catch him or anything, he's just wanted for questioning. Thanks! If you wait around 5 min in cove You will see a water monster in water! 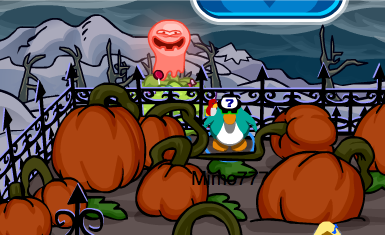 And if u go to ice berg and start drilling on it in end you will make a halloween pumpkin. Better luck finding enough of the right style in a full server, but more likely to get kicked off. Then you have to start over, ugh. He mentioned that last year! 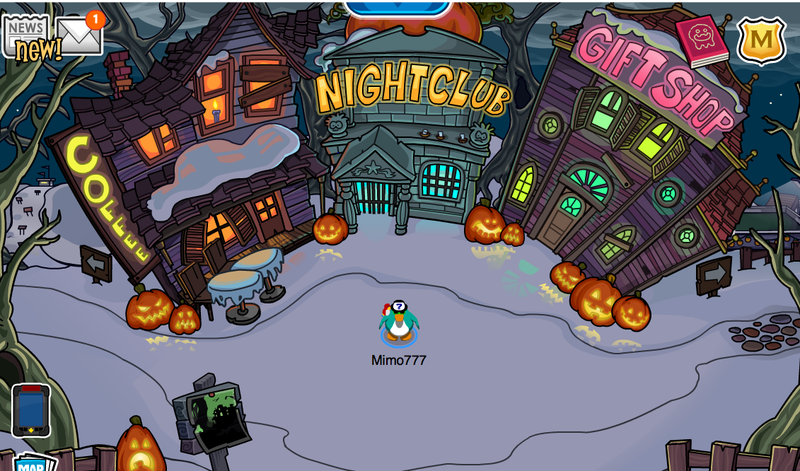 I have visited about 15 igloos and still no stamp for trick or treating?! what else do I have to do? 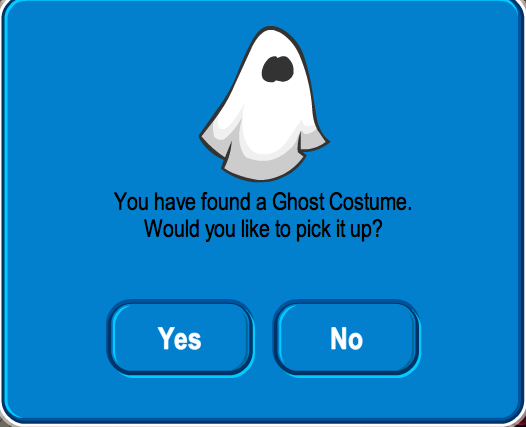 I can't get the ghost costume! Help! 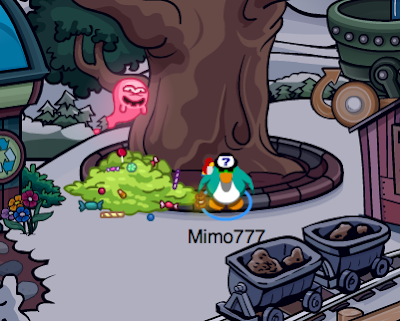 The hunt has to be kinda easy, since a lot of young kids play CP. 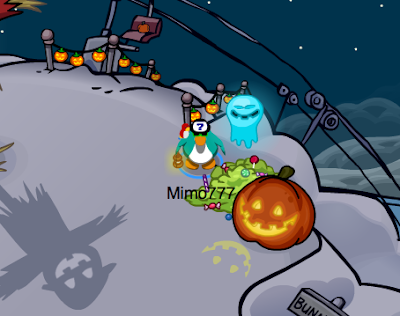 And this year they have trick or treating at the Snow Forts. If you mean nonmemebers, then no, you can't go in the Dark Chamber. t doesn't say that in the post. 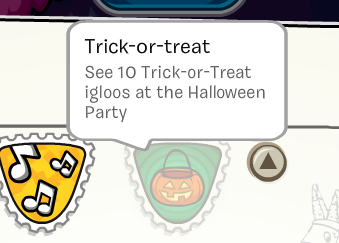 To get the stamp, you have to go to 10 trick or treat iggys, not just 10 iggys. What do you mean, more likely to get kicked off? Yup, flashlights, night vision goggles, and all lanterns work. Any monster costume works. That stamp has been there since last year's party. If the server is crowded we often get the 'you haven't moved in ten minutes so we kicked you off' notice (or something like that). Even if you're in the middle of a game. The cousins use four different computers so it isn't us, and others sometimes complain it happened to them when we log back on. Yay! The Official Halloween party is here. 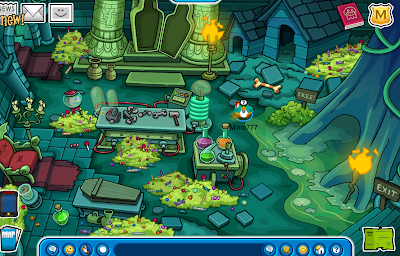 uh oh what happen to the 6th anniversery of Club Penguin???? 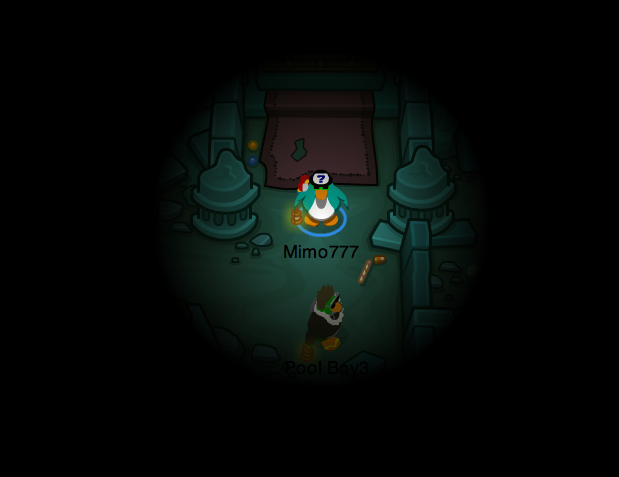 The night vision goggles look cool in the maze. You don't get the clusters of spiders, but see them scuttling around the frame area instead!